3 minutes by foot from Toyama Station. As we go to the fishing port every morning to buy fresh fish, we serve fresh-caught fish. 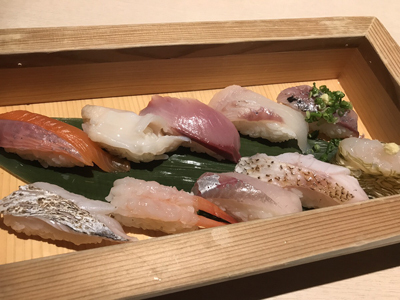 We also serve sake from all of the breweries in Toyama prefecture, as well as meat and a la carte dishes in addition to sushi, allowing you to enjoy all of Toyama's delicacies from the sea and mountains.